The Nationals are in so much trouble right now – and lost again last night. They began a long homestand that will likely serve as their final stand. 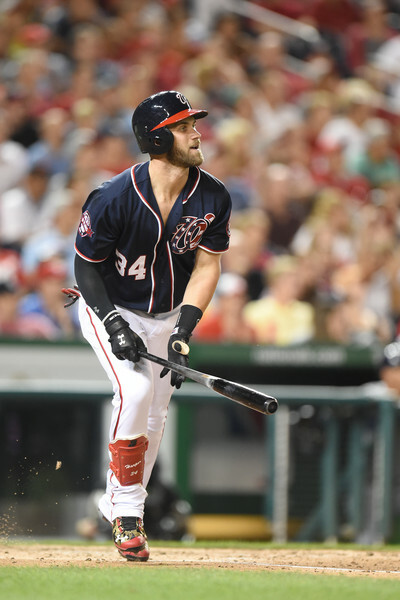 Bryce Harper kicked things off the only way he knows how, by turning around a 97 MPH Jimmy Nelson fastball (Jimmy Nelson was throwing pretty hard last night folks) and depositing the line drive in the seats for his 31st home run. This was the 86th home run of Bryce Harper’s career, and he now leads the National league by one over Nolan Arenado. The Nationals are what has to be a season-high five games back of the New York Mets.